Maxi skirts are my go to when the weathers hot and this one is probably my favorite. I picked it up in the Whistles sale over four years ago but I love how current it still looks! I’ll admit, there isn’t a whole lot you can do with a maxi skirt to change the look – if the length works with flats it’ll probably hover at an annoying length with heels so most of the time it’s one or the other. You can, however wear them with a whole host of different tops to create a range of looks. You all know how much I love my leather jackets! I love teaming them with feminine pieces like this skirt, it adds a little edge and it’s shape is such that it doesn’t swamp my shape or hide my waist too much. Ahhhhhh I love a good band -t and, like the leather jacket, I love to team them with more feminine shapes. 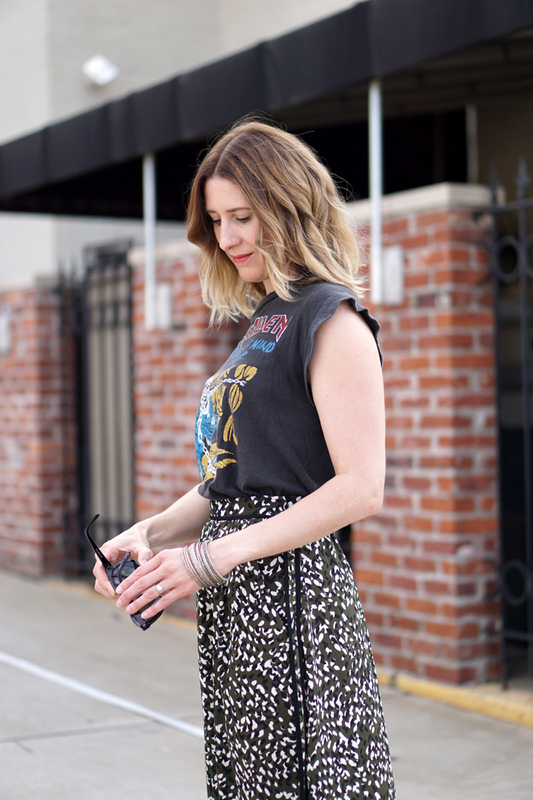 I always tuck tops into this skirt as I find it more flattering, especially if they’re boxy or loose. I have often wanted to dress this skirt up with heels, but it sits at a funny length and hovers uncomfortably. I’ve played around in the past with tying a knot in my maxi’s to stop them dragging on the floor, so I thought I would try tying a knot on both sides and see what that looks like. It’s not perfect but I actually quite like it! It’s even better from the side…it looks like a pair of harem pants! 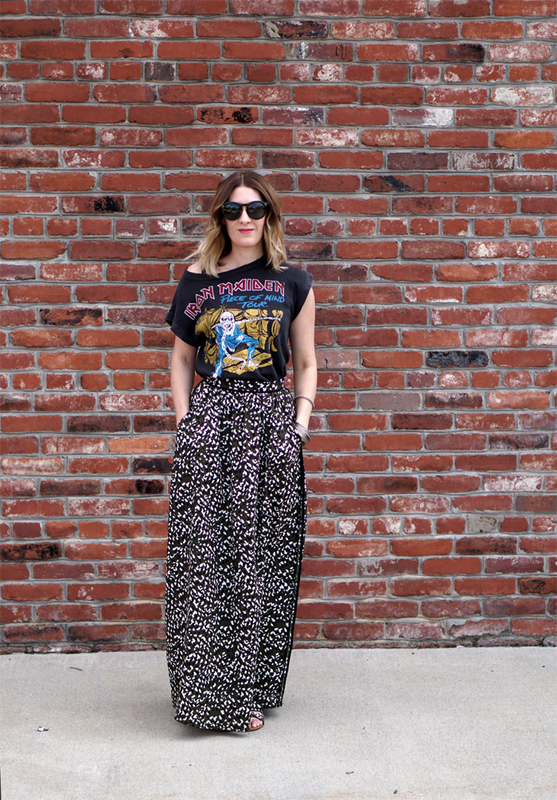 What are you styling tips for getting maximum wear out of maxi’s? 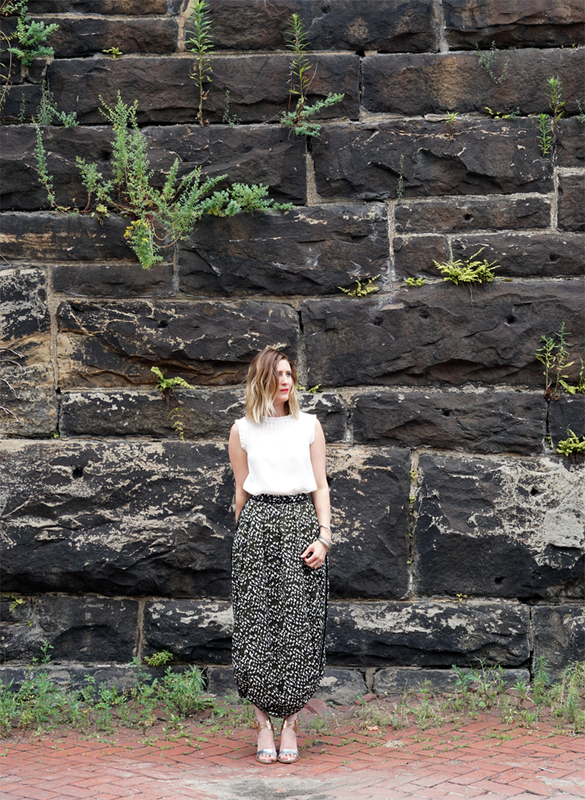 #STYLISHPITTSBURGH // MEET CHRISTINE SCHELL!